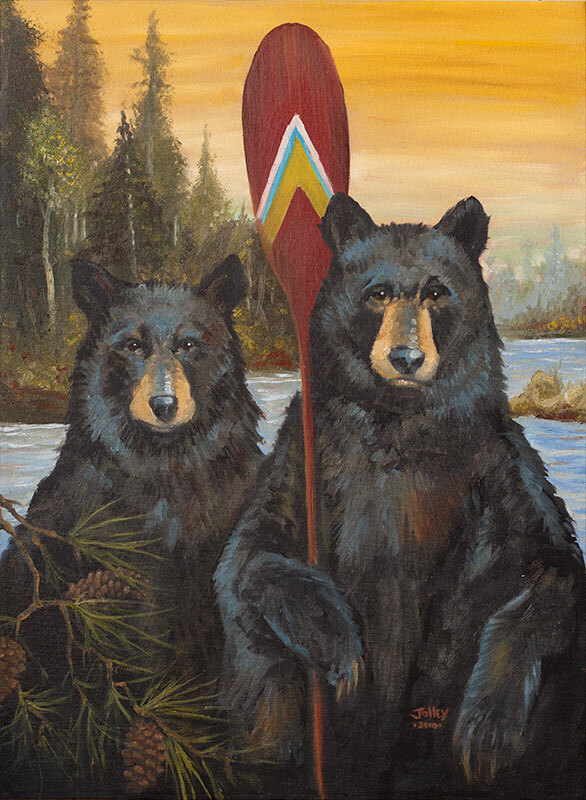 Are there prints of the bears holding the paddle available for purchase? There are not any prints, my apologies. What size is painting and what is the cost? The painting is not for sale, and I don’t sell prints either. Sorry.